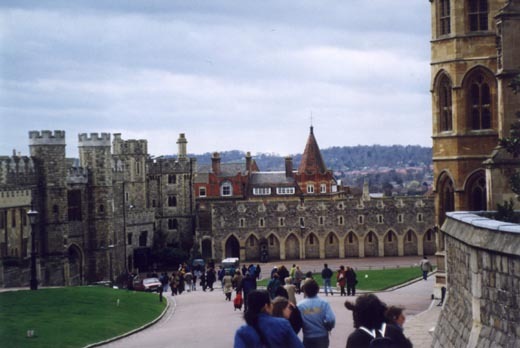 The first trip we took outside of London was to Windsor Castle. On the way out to Windsor, we quickly drove by Runnymeade where the Magna Carta was signed. Windsor is a very nice town. The castle is amazing. We were lucky enough to be there not too long after they re-opened the area that had been damaged by fire.